Tinker Tailor Soldier Spy is released on Friday, and it is a magnificent film – atmospheric, thrilling and supremely well-acted, it is a piece of filmmaking precision based on a terrific story by John le Carré. 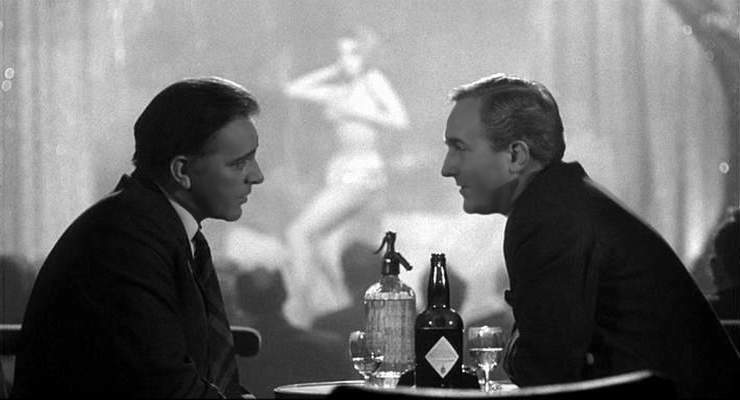 I urge you to go and see it, but if you’re stuck at home, try and get a hold of The Spy Who Came in from the Cold. Released in 1965, it is the first film adaptation of le Carré’s work. Starring Richard Burton as the handsome and acerbic Alec Leamas, the film is a harsh statement about the amorality of Cold War espionage and the post-war landscape being a place where expediency rules over ethics. This is seething underneath a rich and compelling thriller. Leamas, following a failed mission in Berlin, is sent out into “the cold” for a while in order to attract the interests of the soviets, who may scent a would-be defector. The ultimate aim is to bring down an enemy in East German intelligence, but things do not go as planned. Burton is a controlled and strong presence at the heart of the film, increasingly disenchanted with the world he’s in and yet charming, attractive and wonderfully funny. Through his performance, the character of Leamas looks at the world of double standards and betrayal of the Cold War and makes what must have been a brutal statement for the time, which still has bite now. These world-weary approaches to issues of espionage and betrayal do of course persist in Tinker Tailor, but there are interesting comparisons to be made between the two films. The new release is a great spy film, but incredibly distant from the world of that most famous of cinematic spies, James Bond. Here, however, the lines are much more blurred. Part of this is down to Burton, who has a fairly Bondish air about him, but there are also scenes, such as one in a burlesque club, which seem to be in the world of Fleming more than le Carré. Though there are differences, there are also similarities. Both films have a great emphasis on atmospheric photography, but whereas Tinker Tailor draws out the period (it dealing with the past, whereas TSWCIFTC was dealing with its present) and an oppressive, claustrophobic staleness in the corridors of secrecy, TSWCIFTC deals in shadows and moody lighting. The most striking point of comparison (more so than the appearance of one George Smiley as a supporting character) is that the film’s scores seem to very much be related, and one wonders whether Alberto Iglesias’ excellent music took its direction from Sol Kaplan’s work in ’65. These are points of current interest, but TSWCIFTC stands very well on its own as a brilliant spy-thriller. The climactic tribunal scene is spellbinding, and though aspects of the plot can be seen from a fair way off, it is always watchable. It also features good performances from Oskar Werner, and Claire Bloom, whose onscreen romance with Burton is absolutely convincing until they get within a foot of each other when all sexual tension seems to instantaneously change to embarrassment. What is best about this film, however, is that it shows the durability and richness of le Carré’s work and how adaptable it is. Tinker Tailor is a seriously good film, and with source material as well made as this, it is clear that, as many are hoping, there could be more such films in the offing.